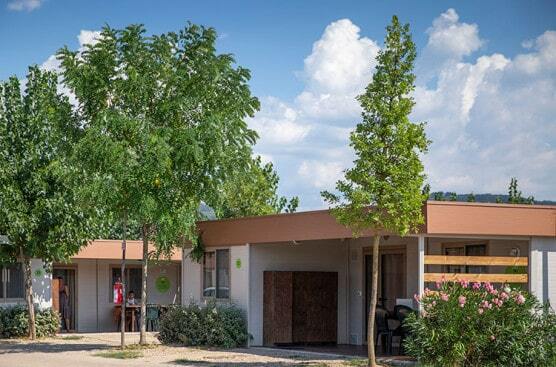 Florence Camping in Town offers you an exciting and eco-friendly urban experience for your florentine holiday, right on the banks of the Arno river. Superior Bungalow with 1 room with 1 double bed (or 2 single beds) and a third single bed, bathroom with shower. 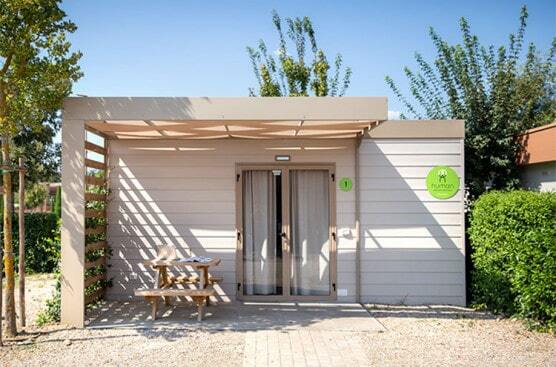 Air conditioning, heating, towels, bed linen, blankets, pillows included. 1/2/3 persons € 50,00 bungalow/night. Chalet with 2 bedrooms (1 double and 1 triple room), kitchen/living room, 2 bathrooms and a terrace. 4/5 persons € 57,00 chalet/night. Included: parking, wi fi, air conditioning/heating, final cleaning. Not included: breakfast, city tax (under 12 y.o. exempted, older than 12 y.o. € 2,00 for night), daily cleaning. ONLINE: To benefit from the special rates indicated above, the code ECOTRAIL19 must be entered in the field "Do you have a discount coupon?" at this link https://humancompany.com/en/booking-online. EMAIL: send a request to firenze@humancompany.com; the code ECOTRAIL19 must be specified in the body of your message. Grand Hotel Mediterraneo is a 4 stars hotel located in Florence, Lungarno del Tempio 44, a few minutes walk from Piazzale Michelangelo, start and finish area of the EcoTrail Florence. double rooms with breakfast and late checkout at 80,00 euros.